Gainesville, Fla. – A Jefferson, Lafayette, Madison and Taylor County Farm Bureau insurance agent has won statewide recognition for his cooperative work within the overall organization and his positive contributions to member service. 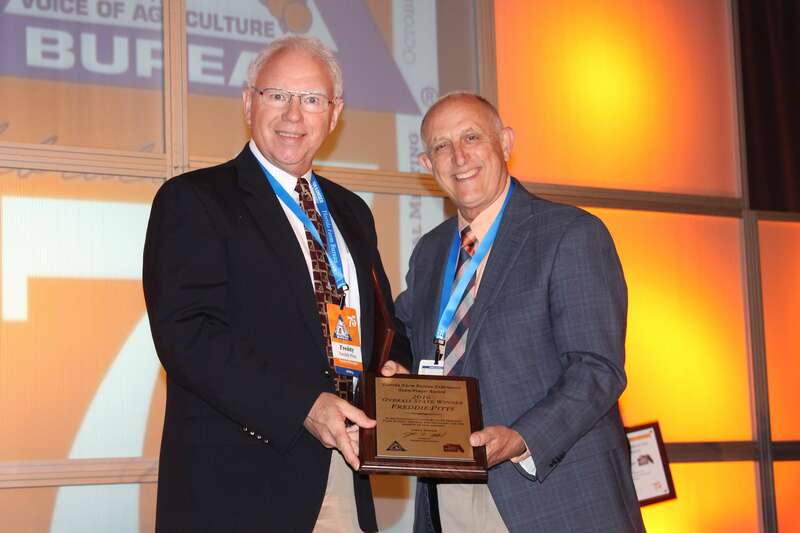 Freddy Pitts received Florida Farm Bureau’s 2016 Team Player Award at the state organization’s annual meeting in Orlando on Oct. 27. Pitts is the Farm Bureau agency manager for four different counties and he plays a vital role in the success of each office. Pitts played a huge role in obtaining a $500,000 grant for the Madison County Agricultural Center, where many youth and agricultural-centered events are held each year. He organized a trip for the Madison County Farm Bureau Board of Directors to see the dilapidated condition of the center. With their help, he continued to bring this problem to the attention of local and state representatives, leading to the grant being awarded.